Daniela Menchaca was born and raised in a San Antonio, Texas, very close to the border which played an essential part in shaping her connection to her Mexican cultural heritage. Since her hometown was close to the Mexican-American border, she has close ties and was raised in a culturally Mexican environment and is very proud of her connection with that. 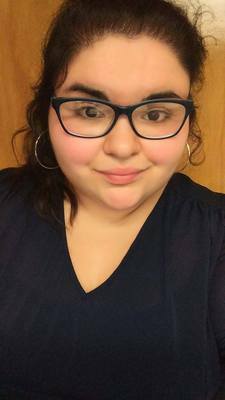 However, as someone who is "white-passing" she has struggled to establish her Latinx identity in both her own hometown and at college. Therefore, she addresses being between American histories and Mexican histories, both aspects of her identities. As someone from a low socioeconomic status, she has fought against stereotypes and underfunded educational support in order to attend college. She speaks on how her parents have influenced her view on education and the support that she has had from individual teachers to be where she is. “Interview with Daniela Menchaca,” Skidmore Saratoga Memory Project, accessed April 24, 2019, http://ssmp.skidmore.edu/document/602.